New Customers save 10% on their first treatment. 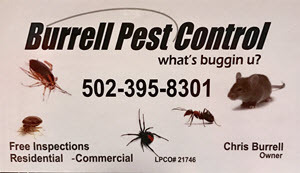 New customers only: Call us today to save 10% on your first pest control treatment. Coupon must be presented to receive discount. Limit of 1 coupon per purchase. Not valid with other coupons, offers or discounts of any kind. Some restrictions may apply.